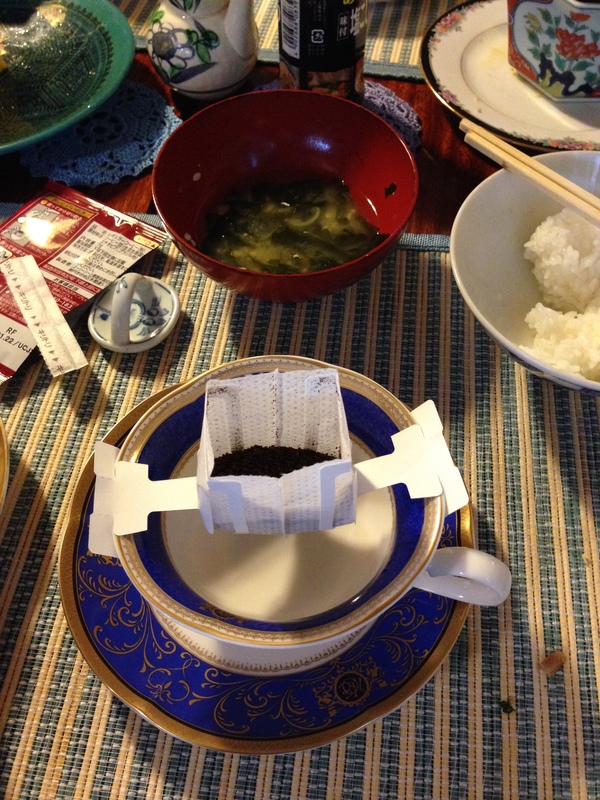 The Japanese love their tea and coffee. Since there is no “FEE” sound in Japanese, they call it “Koh-Hee” (コーヒー). We were offered coffee every day, sometimes multiple times. 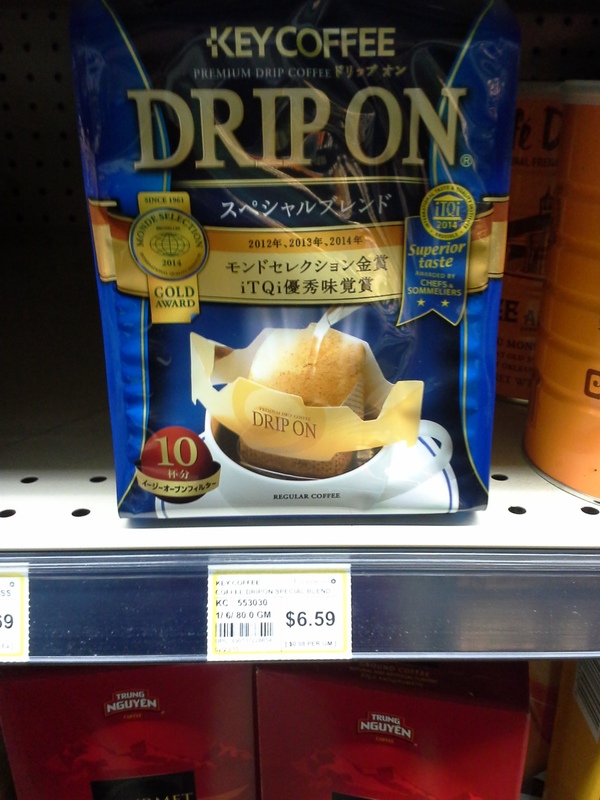 One cool thing we saw there were single-cup drip coffee packets. 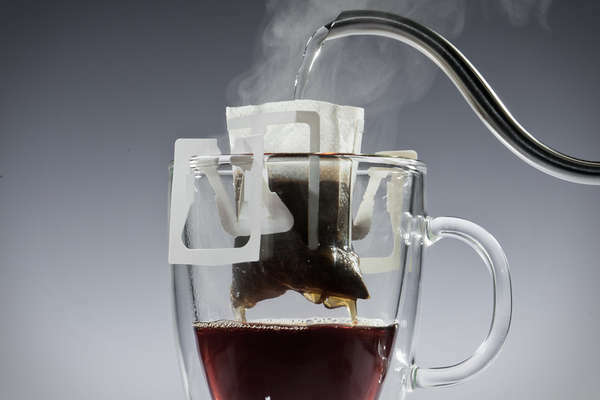 They were similar to coffee “tea bags” I have seen in the U.S., but with an added twist: the bag has small, fold-out cardboard arms that attach to the lip of your coffee cup. 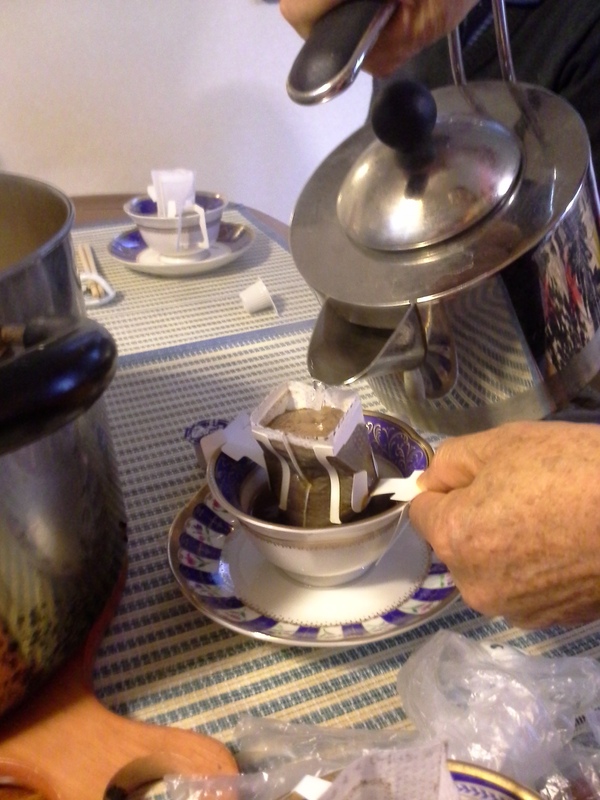 You then snip off the top of the bag and pour hot water into the bag, which then seeps out into the cup. Not being an avid coffee drinker, I am not a good judge of the quality of the coffee, but my traveling companions seemed to love it. The bags are pretty cool, and I think would be especially great for campers and hikers. I searched around, and found an option online. Here is another image.